You don’t necessarily have to start completely from scratch to make a good space GREAT. 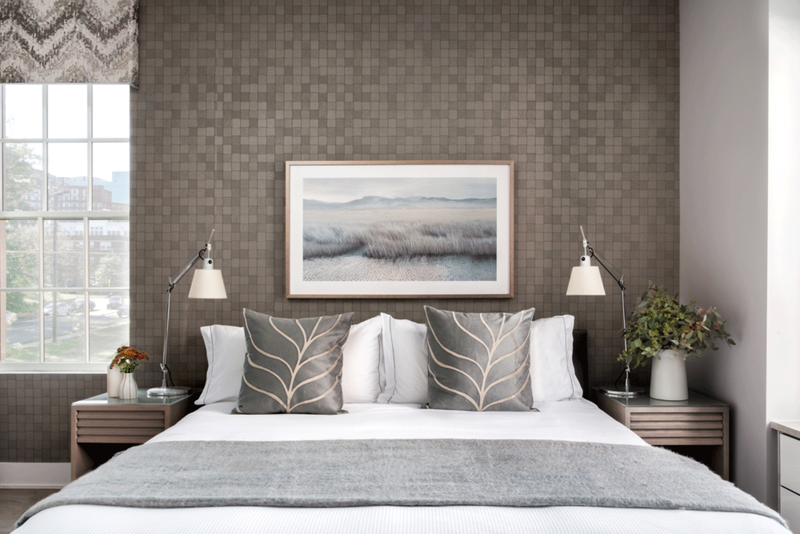 For the master bedroom, we started with a fabulous Phillip Jeffries wall covering with a leather-like texture. Artwork was also a key to making this project pop with originality. We sourced a beautiful piece of original art by Petros Koublis (above) to center over the bed, and two dramatic pieces (below) to flank the TV over the dresser. We also added custom window cornices to embellish the standard condo windows, and to accentuate the tall ceilings. For the living room, we selected a bold Sputnik chandelier to amp up the glam factor and to complement our client’s Mid-century pieces. And the Fiddle Leaf fig in the corner helps draw the eye up. 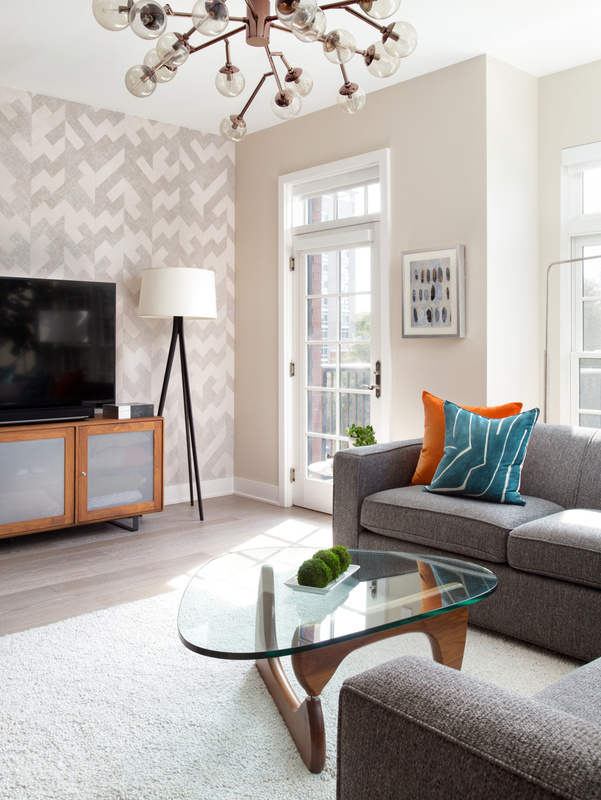 We used a natural woven geometric wall covering to add dimension to the living room’s main wall. To add personality to the standard white kitchen island, we installed a fabulous glass-tile with a metallic sheen. The client was thrilled with the outcome (so were we)! What was a once a standard condo unit is now a one-of-a-kind, personalized living experience. To see more photos from this modern condo makeover, visit our Projects section.